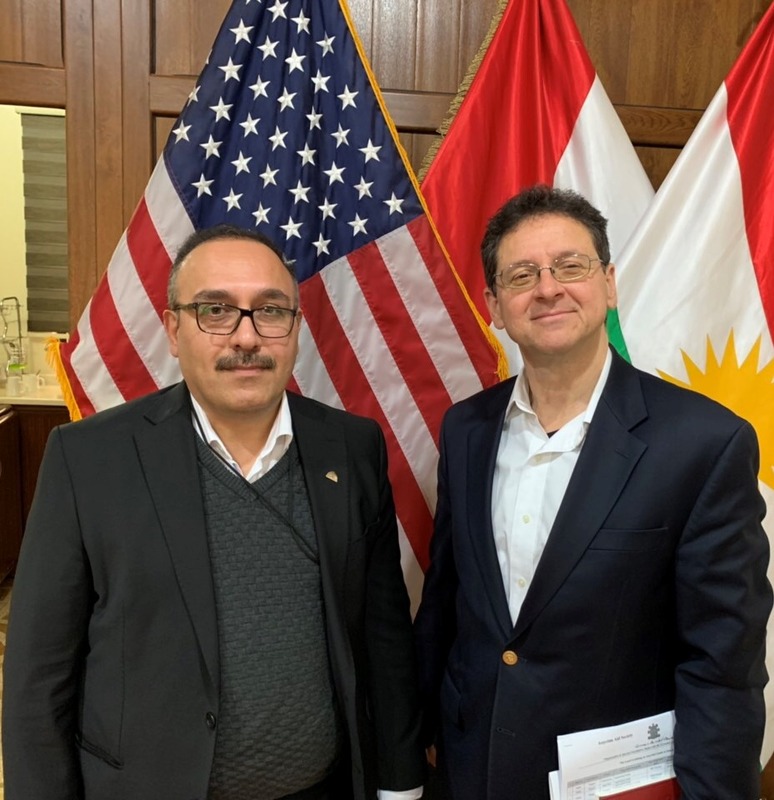 On Monday, February 18, 2019, Mr. Ashur Eskrya, the president of the Assyrian Aid Society-Iraq, met with Mr. Max Primorac, the USAID Special Representative for Minority Assistance Programs in Iraq at the General consulate in Erbil. The meeting included the discussion of several topics related to minorities, especially the region of Nineveh Plain and projects needed for the reconstruction of infrastructure and assistance to promote the reality of minority areas and increase cooperation between USAID and AAS-I. It is worth mentioning that the Assyrian Aid Society-Iraq implemented the distribution of stationery for students of Al-Hamdania district in Nineveh Plain and with the support of USAID in December 2018, which included the distribution of stationery to (85) primary schools in Al-Hamdania district.